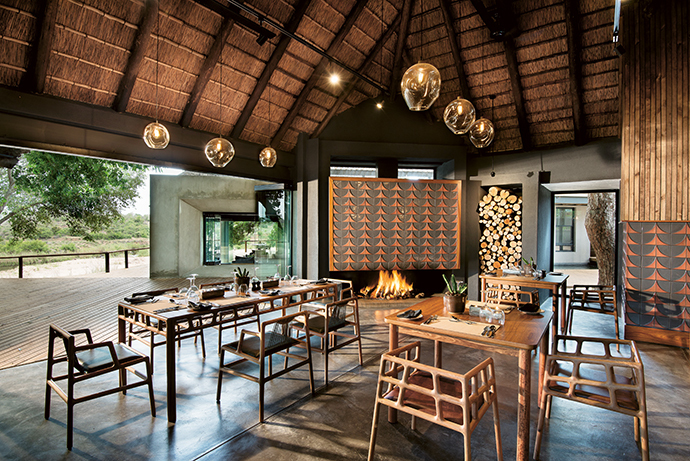 The renovated Ivory Lodge in Lion Sands Game Reserve connects guests with the wild through studied design and subtle nuance. It’s the grail at the heart of all good game lodges, and one that they strive to achieve in various ways. 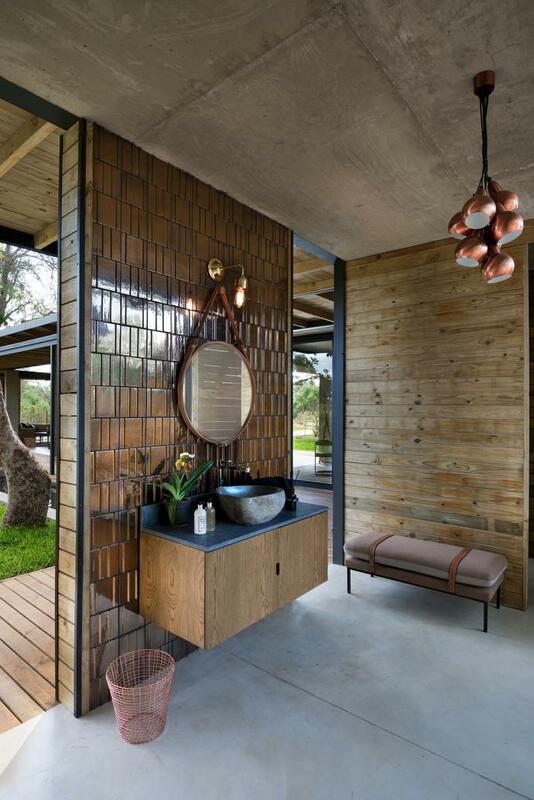 Some draw you out into the wild with a tent under the stars or a bed in a tree house, and others attempt to bring the outdoors inside by incorporating the colours, textures and symbols of the bush in the interior design. 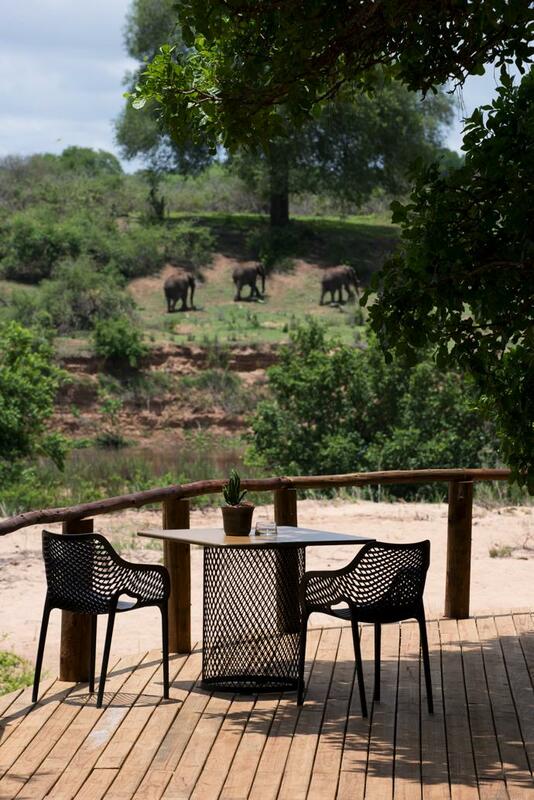 For MORE CEO and owner Robert More, bringing guests closer to nature is achieved by reducing the visual noise of the group’s lodges through superior design. 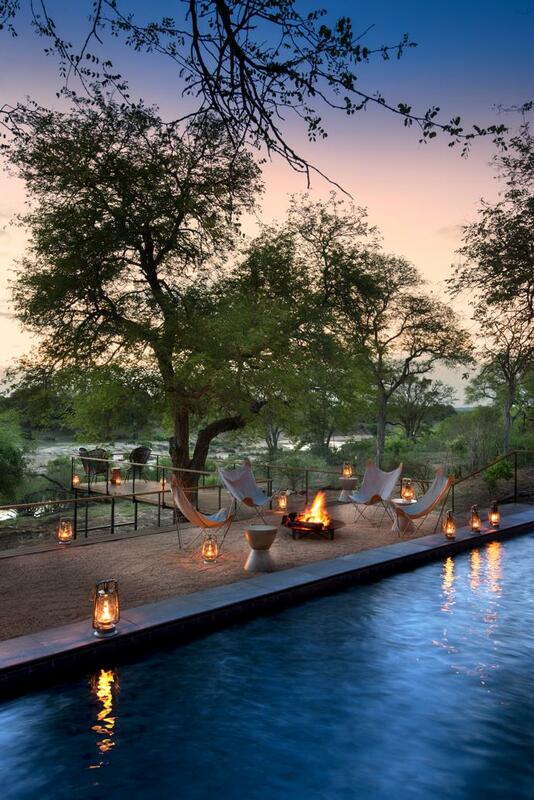 Located on the banks of the Sabie River, Ivory Lodge in Lion Sands Game Reserve epitomises this approach and offers a luxurious, personalised experience. 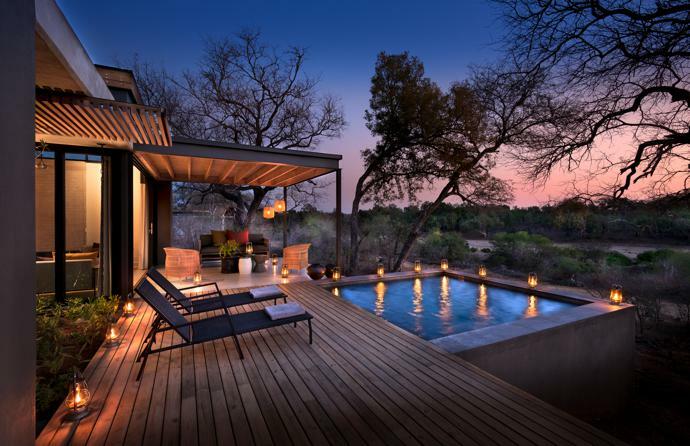 Reopened six months ago after a major renovation of the original lodge and the addition of three new villas, Ivory Lodge has emerged as a bush destination that knows what guests want. 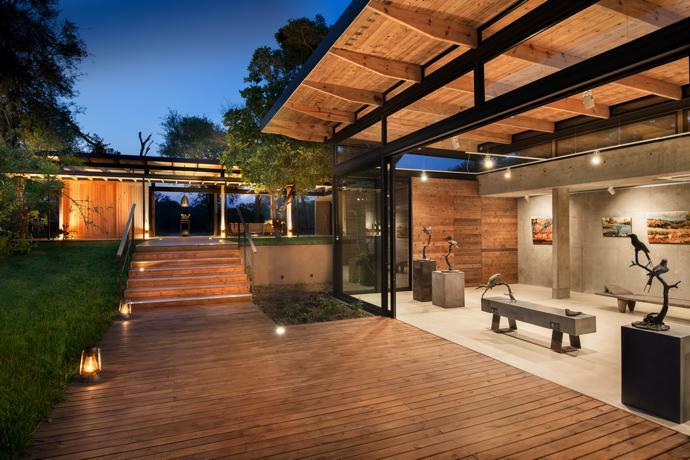 First impressions say it all as you arrive to a contemporary building, its low-slung form hugging the earth. 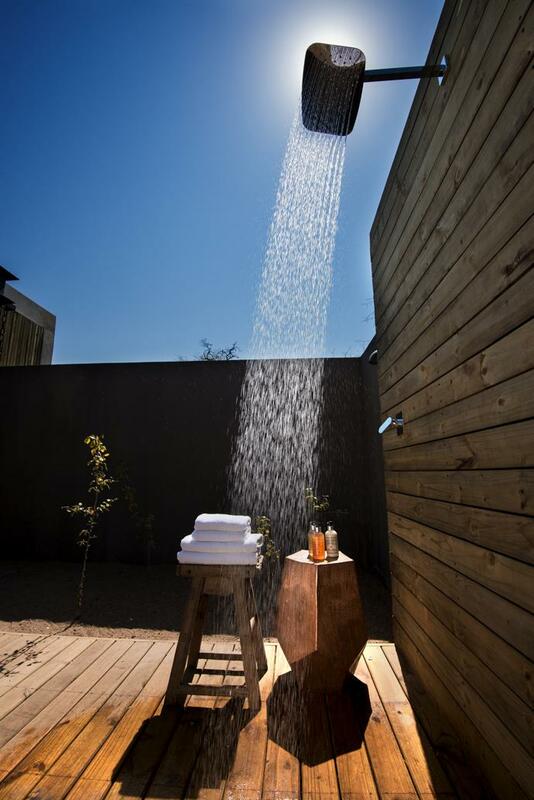 Its stylishly subdued public spaces such as the lounge and reception area have no doors or windows, and quickly draw your senses to the bushveld. 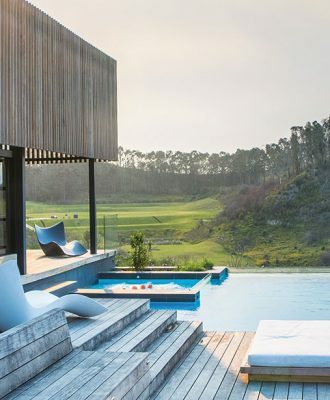 “Our intention was to connect the guests with their natural surroundings through the creation of easy living spaces with clean lines and simple design elements that merge interior and exterior,” says Meg Ralph, interior designer and owner of MT Spaces. 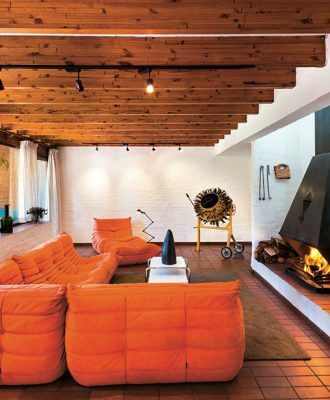 Meg’s approach to the interior telegraphs an understated aesthetic, brought to life with a mix of earthy materials such as wool, leather, metal and wood (lots of it), as well as modern furnishings and controlled shots of colour. 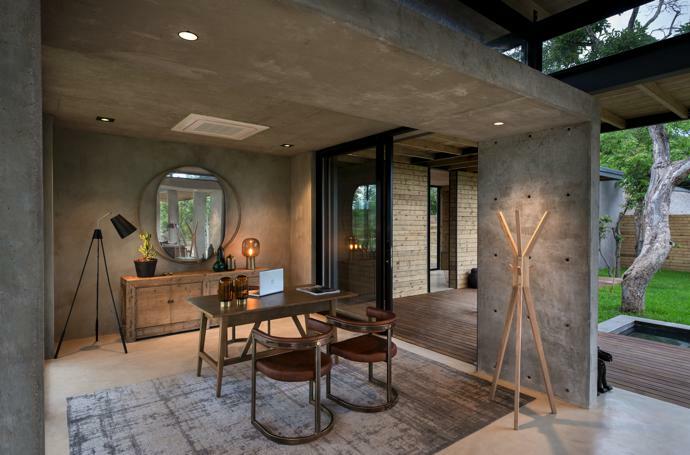 One of the few things that has escaped the effects of time and trend, and thus alteration, is the structure of each of the buildings – their minimalist spirit is a thing of beauty even today. 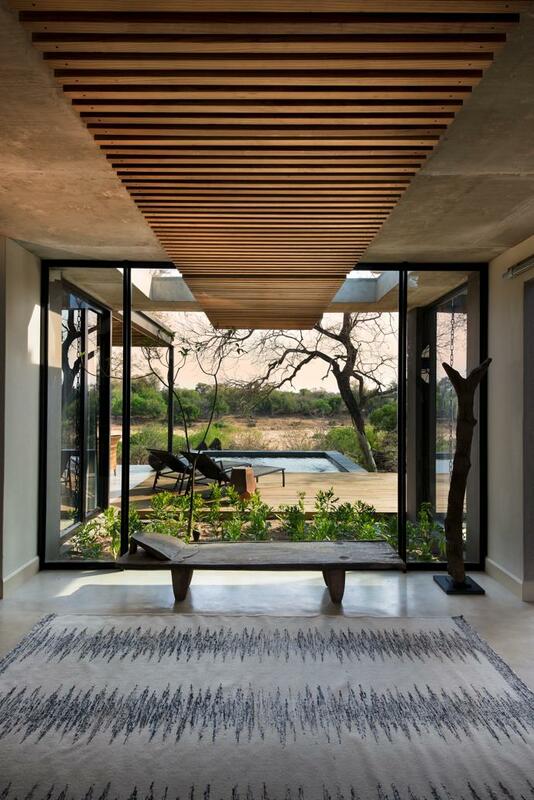 “Our focus is on meticulously sculpted spaces, fusing our bush experience and passion into a tangible and grounded architecture,” say architects Rob Marneweck and Paul Swart. Thanks to its strong use of line, the architecture avoids taking away from the landscape. It is contemporary and understated, but by no means receding; there’s profound beauty in its restraint. 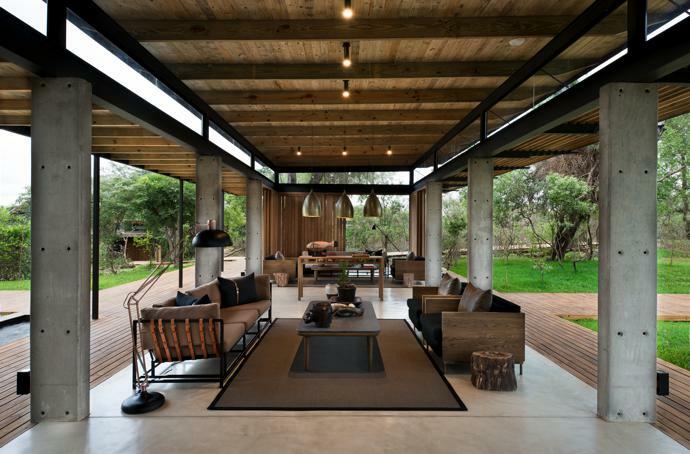 Again, concrete, timber and steel predominate, with symmetry and careful proportion at play. 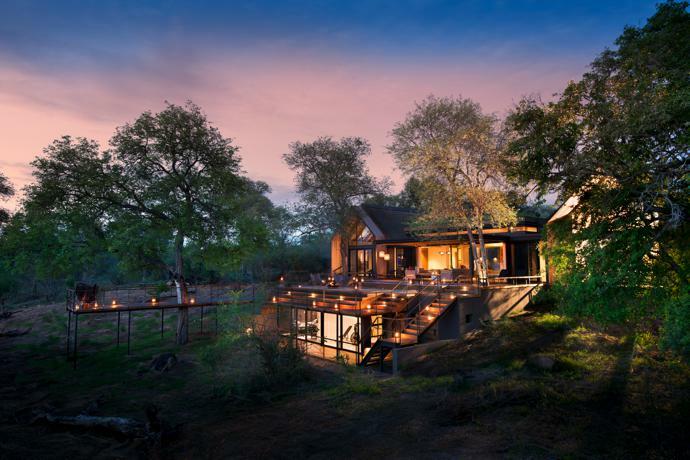 The nine villas are all located on the banks of the Sabie River and have viewing decks overlooking the water. 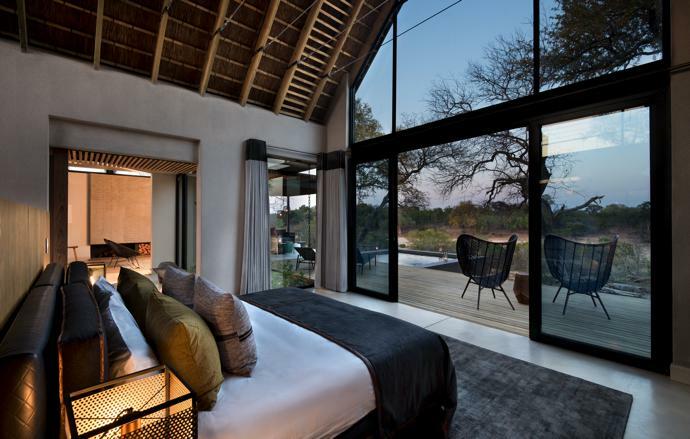 The showstopper is the 325 m2 double-suite Fish Eagle Villa, which has a treatment room and gym; comes with a private chef, exclusive use of a game-watching vehicle and separate access for game drives; and promises guests privacy and spaces for quiet contemplation. 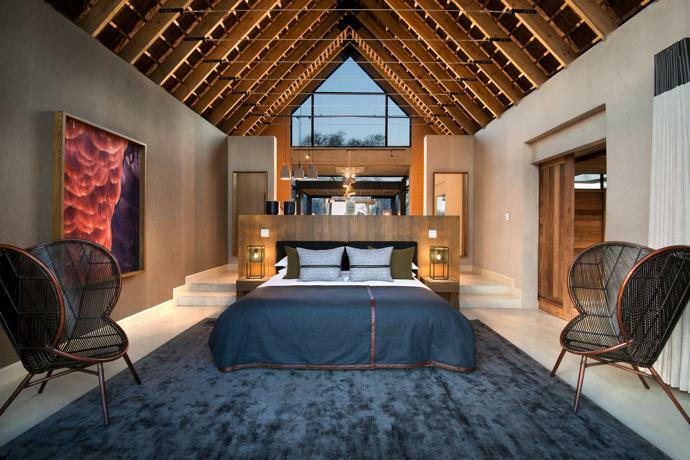 There’s a beautiful dance in motion here, with architecture that is at once bold and restrained, and interiors that juxtapose contemporary design and earthy warmth. 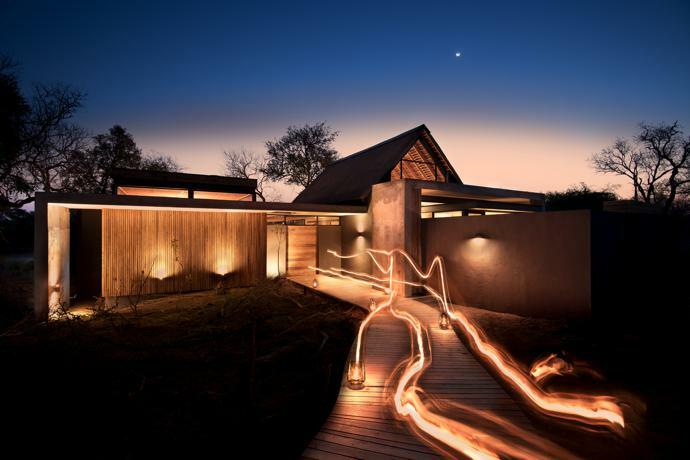 How can a lodge be an expression of modern design that pays homage to nature? 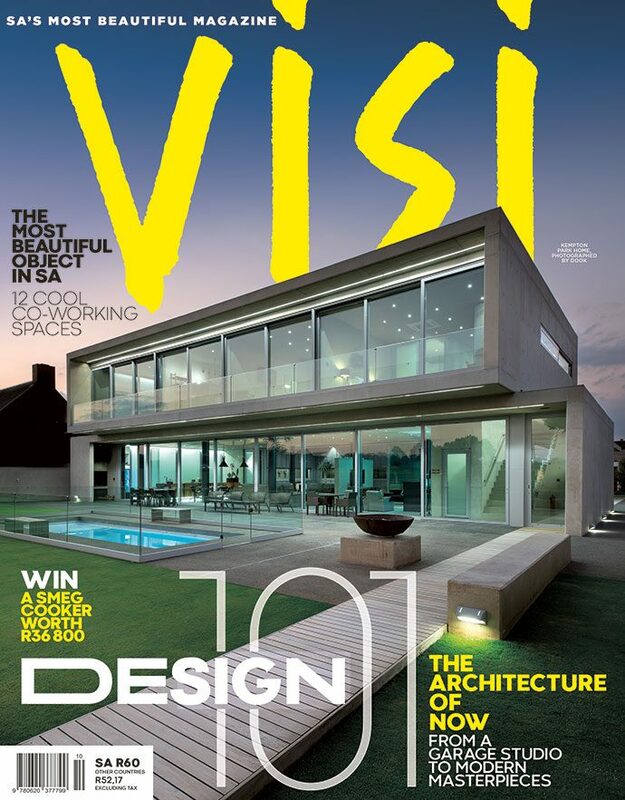 With careful planning, a skilled design team, and a strong desire to connect people to something greater than themselves.